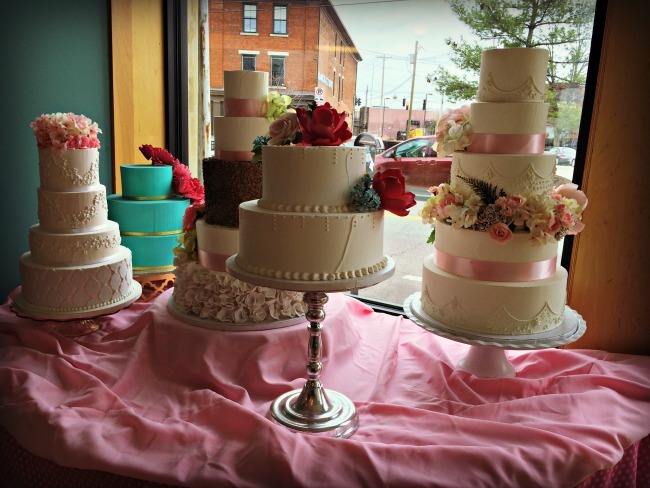 Buttercup Cake House in Covington is THE place to go if you need delicious, exquisitely decorated baked treats! 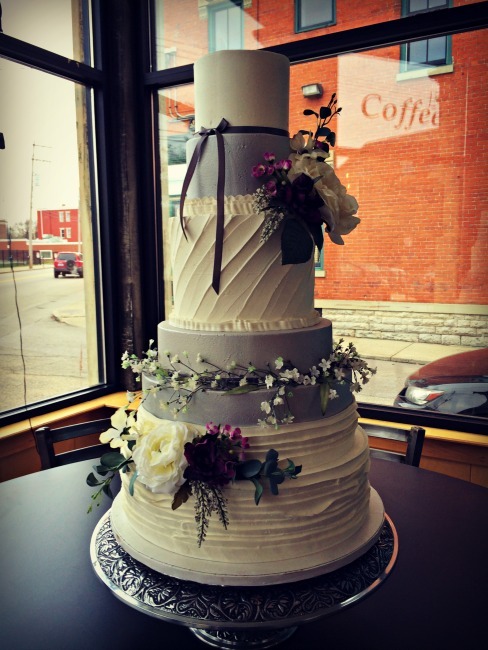 Buttercup Cake House makes wedding cakes, cupcakes, cake pops, cookies and more! 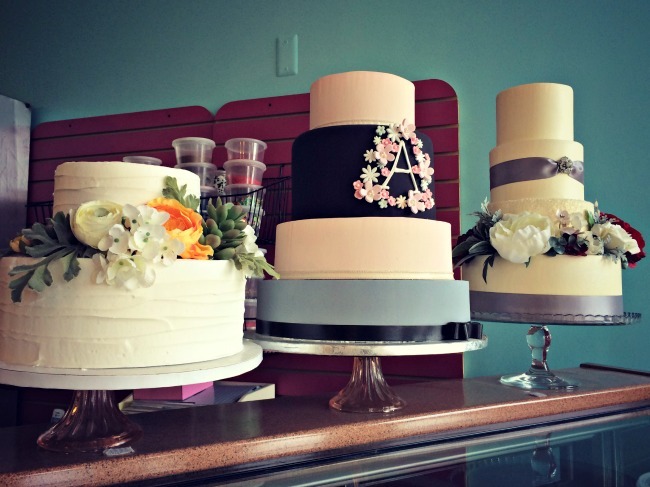 You can stop by their shop on Pike Street or find them at various events around town. 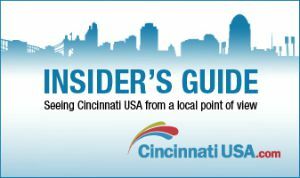 I first tried Buttercup’s sweets at an event at Braxton Brewery, and then again at the Night Bazaar. When they opened their shop in Covington I was over the moon. I love their cookies and cake pops. 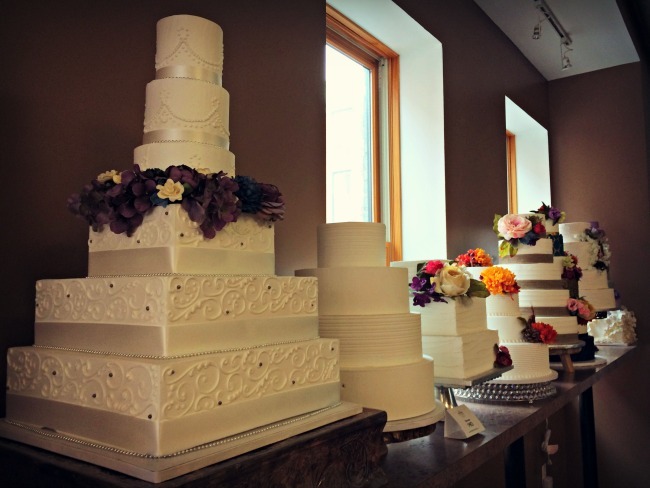 Not only are their sweets tasty, but they are almost too pretty to eat! 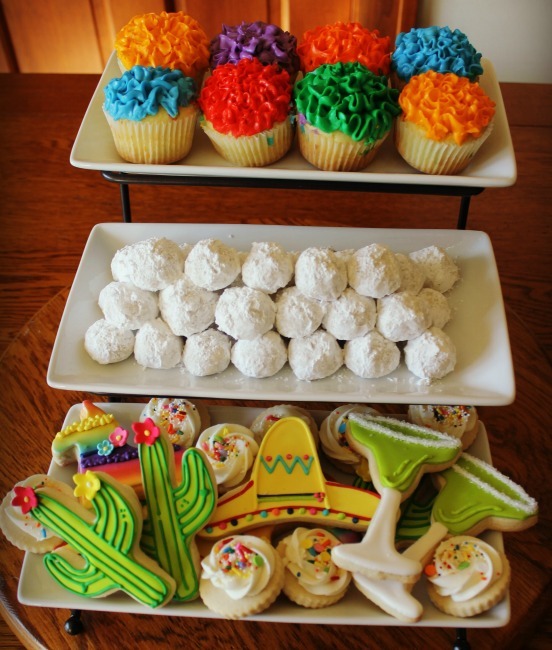 Recently when planning my sister’s wedding shower I decided that we needed to serve iced cookies to go with our Fiesta theme. After just a few messages back and forth on Facebook I was set up with an order at Buttercup Cake House. All I had to do was describe our “Tacos & Tequila” Fiesta theme and they ran with it! Here are the desserts we served at my sister’s Fiesta Shower: cupcakes made by a friend, Mexican Wedding Cookies made by my Aunt Rita and then the Fiesta cookies made by Buttercup Cake House! They were the perfect small desserts for our Fiesta! 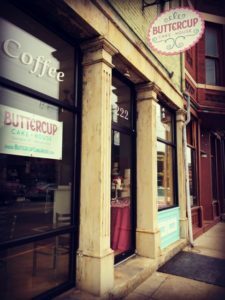 Buttercup Cake House is located at 222 Pike Street in Covington, KY.